Laser printers are great for high-volume jobs, printing pages in one go rather than piecemeal like inkjet printers. Laser printers use the same technology as scanners and photocopiers, projecting an image of the content onto the page and applying heated ink particles to fuse it to the paper. Laser printer speed depends on the level of detail in the content, but in general laser printers produce a mix of text and graphics much faster than inkjets. Wireless laser printers work with laptops and PDAs, making crisp, clear printing entirely portable. WiFi-capable laser printers eliminate tangled cables on the floor of your work space. The versatility of laser printers means they are well-adapted to SMEs and small home office workers, retail shops and restaurants. Large lasers can churn out more than 60 pages per minute. Automatic duplex models can also reduce paper and ink consumption, and some models are equipped with Web browsers and status-monitoring functions that enable remote tracking of print jobs. 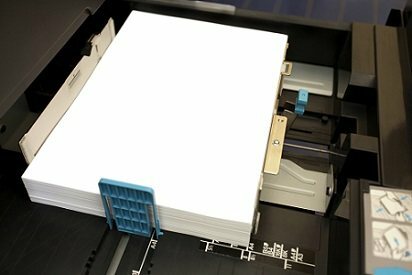 High-capacity paper loading enables quick, inexpensive in-house production of big printing jobs which once might have been contracted out to a professional firm. To top it all off, laser printers are user friendly, and thanks to more efficient laser technology they break down less frequently than inkjets.